Summer is right around the corner, and right on cue we're releasing the new Summer/Fall 2017 issue of Portland Bride & Groom magazine. Summer is right around the corner, and right on cue we're releasing the new Summer/Fall 2017 issue of Portland Bride & Groom magazine. The issue just hit newsstands, and we can't wait for all you brides, grooms, and vendors to get your hot little hands on a copy! Photographed by Kevin Focht, our cover image—snapped on location at Nest Hotel in Tulum, Mexico as part of our tropical fashion editorial—features model Megan Moes wearing a chic crop-top bridal ensemble by designer Rime Arodaky. 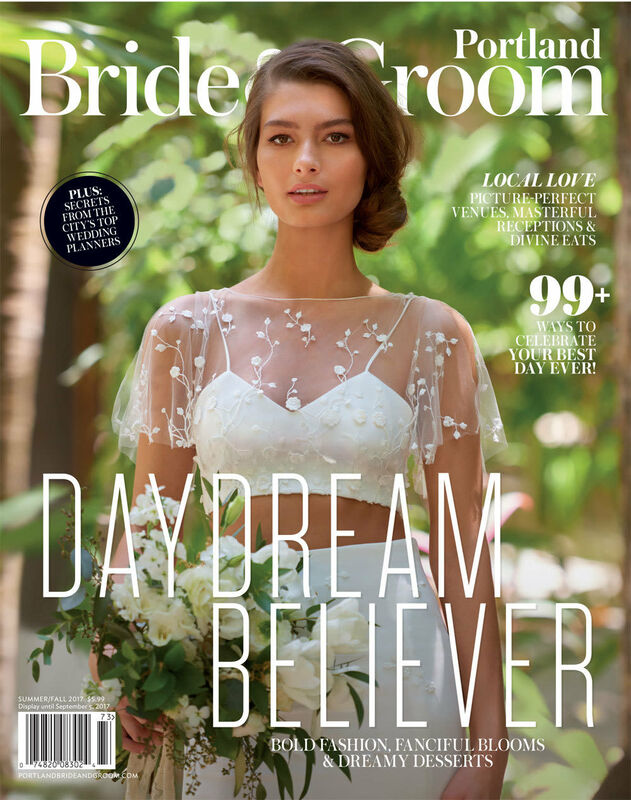 Flip through the issue to see more big-day fashion for destination weddings or nuptials right here at home. In the issue you'll also find fanciful blooms, decadent desserts, modern reception style, and advice and tips from the city's best planners. Pick up a copy today!